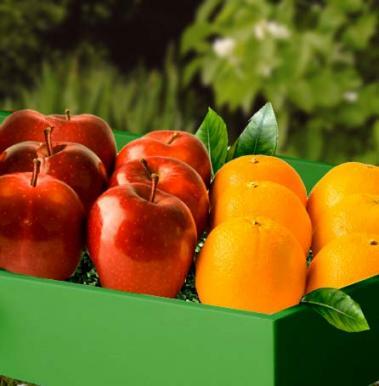 Apples & Oranges Fruit Gift Box. Crunchy Galas, Braeburn or Fuji apples and sweet juicy Sunkist oranges are both great for snacking at home or at work. Help someone enjoy a bunch of healthful snacks with this delicious fruit pairing!